Here’s my latest trend post for Vogue.in. that went live on their site last week. 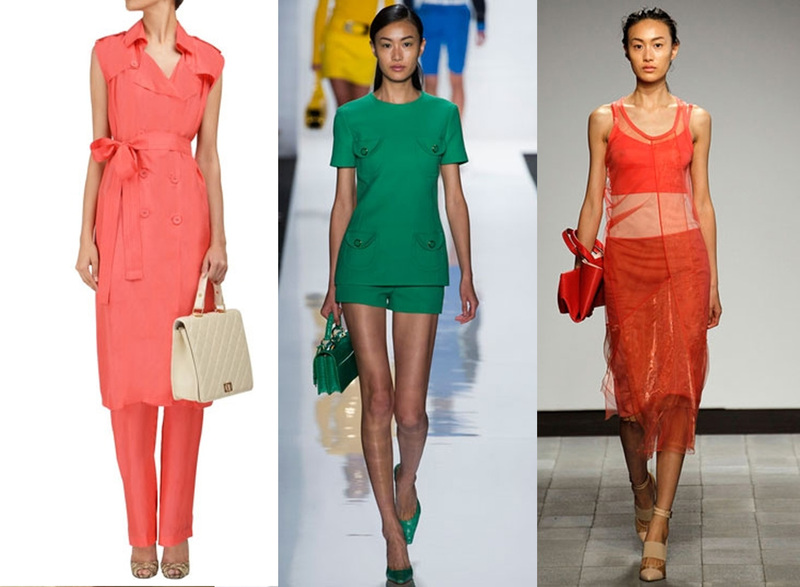 I’m a fan of this trend, I love bright colours and its a look that works best kept simple. Although I wouldn’t be brave enough to rock Topshop Unique’s yellow suit and am more likely to opt for a jumpsuit or tee & jeans in fushia or orange…. 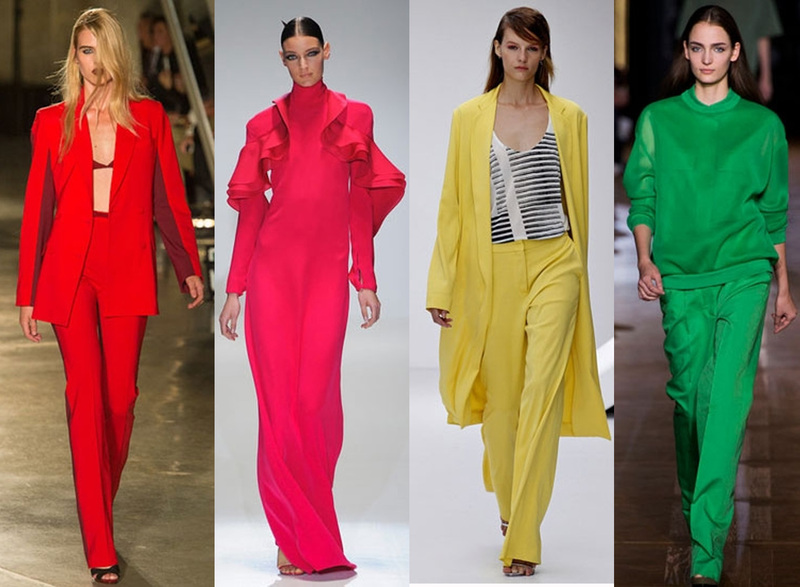 The fash pack are calling this trend ‘through colour’ and it simply means wearing the same colour head to toe. And no, head-to-toe black or navy doesn’t count! It’s more about making a statement through bright hues. International designers present an array of Crayola colours from sunshine yellow and tomato red, to cobalt blue, fuchsia, emerald green and tangerine. Here are some tips on how to get the look. To wear the look at full-volume you can take inspiration from Topshop Unique and Jonathon Saunders and work a matching pant suit. For a glamorous turn on the trend opt for a long sleeve maxi dress as seen at a Gucci. Or go for a Stella McCartney-inspired sweatshirt and pants combo, if you’re looking for something more relaxed. An easier way to work the trend is by showing some skin, like Anushka Sharma did in her bright yellow halterneck maxi by Victoria Beckham. Atsu’s sleeveless trench set is another chic way to get the look.